Prepare yourself for a super energization! Yoga and Ayurveda have a myriad of techniques for enhancing your life force. This meditation uses the metaphor of a river to systematically bring a living stream of life force and vitality into the tissues of your body. We're going to get a feel for Ayurveda's approach to the layers of tissues - or dhatus - within you: your skin, muscles, organs, skeletal system and nerve/endocrine systems. And we'll practice detoxing them and then supercharging them with vitality. According to Ayurveda, it is relatively easy to access, detox and recharge the more external layers of your body. However, the deeper core contains highly charged and super condensed life force that takes much longer to access and still longer to recharge. Building a living relationship with these dhatus can help this process immensely, and that's what this meditation is designed to do. So, I'm hoping you'll enjoy a meditative journey through your dhatus and discover how easy it is to be an active player in the healing and vitalisation of your body. You can use this meditation as a great detox, or as a great way of gaining vitality - simply emphasise whichever aspect you feel you need most. You could even do the meditation lying down as a deep relaxation! I was inspired to record this for you during a month on an Ayurvedic health retreat in India. 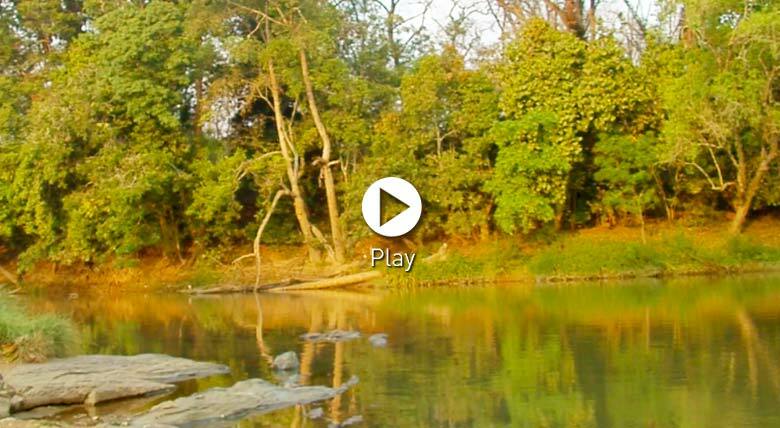 I spent many, many hours meditating by the river you'll see in this video, and couldn't resist sharing its tranquility and healing beauty with you. Thanks to the fabulous team at Ayurveda Yoga Villa for their warmth and hospitality! Andrew, thank you so much for that beautiful, powerful meditation. The sounds and sights of the river coupled with your amazing guidance and striking visualisation was just magical. I really could feel each different part of my body relaxing and giaing light and life as you talked us through. It really helped relax my body in a profound way. Amazing!!! Wow,absolutely wonderful my whole body is still tingling with life force while writing this. Thank you Andrew for such a beautiful meditation. Thank you for a vibrant, fresh and energising meditation. The journey through my entire body was awakening. Thank you again for the magical experience. Thankyou - wonderful visual, sounds of India and nature, Andrew's soothing voice and the relaxation.